The Y offers a safe, caring environment in which toddlers can begin the path of life-long learning. Programs emphasize developing a strong self concept as well as social, intellectual and verbal skills. Our preschool program emphasizes both a developmental and creative curriculum. Our preschoolers enjoy activities that build self-confidence and socialization skills, including soccer, swimming, dance and computer literacy. Once children reach school age, multiple influences enter their lives. School-based care ensures the time outside of school is occupied creatively and constructively. These programs help children grow by emphasizing and modeling character development values. At both sites Y staff supplement what participants have learned in school through physical play and enjoyable learning activities. The After School programs improve kids’ critical thinking skills, helps them with their homework and provides opportunities to socialize with peers. Welcome to YMCA Summer Program! At the YMCA, children have fun while they learn how to make new friends, build new skills and grow in self-reliance. Studies show that under the careful guidance of trained, certified counselors, children cultivate a positive identity and develop and refine social, physical and critical thinking skills. Equally important is the inculcation of positive values such as caring, honesty, respect and responsibility. The concepts of independence and discovery come into play every day at the YMCA! NEW Santa Fe Family YMCA Building! The YMCA in Santa Fe, New Mexico continues to grow as we serve the Santa Fe community. A key component of that growth is the construction of our second facility at 6537 Airport Road. 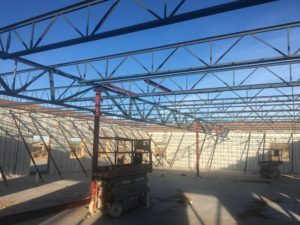 Construction broke ground in September 2017 and is expected to be complete in April 2018 with the facility beginning day care services on May 1, 2018, and a Summer Day Camp beginning later in May 2018. The new facility is 6,200 square feet with two classrooms for Day Care. One room will serve 20 Toddlers (2 and 3 year olds). The other room will be capable of serving up to 24 Pre Kindergarten children (4 and 5 year olds). There will also be a Multipurpose Room which will be used for Summer Day Camp and Afterschool Child Care, capable of serving 45 school age children. The Multipurpose Room will also be available for daytime programming during school hours for adults and senior adults, as well as evenings and weekends for family or community events. The new Santa Fe Family YMCA Building is being built by Lowrance Development Company, LLC. 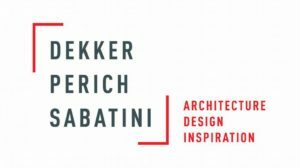 The architect is Dekker/Perich/Sabatini. Ken Romig, Chair of the YMCA Camp Shaver Board is an architect with this firm. 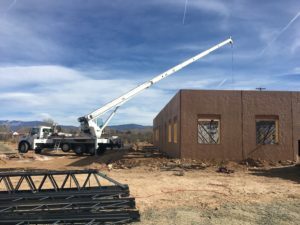 The building is being constructed by Ballew Construction, Inc. of Santa Fe, New Mexico. The building design was specifically driven by flexibility to adapt to the needs of the community. Use of Lite-Wall insulated Tilt-Up Panels, utilizing a colored, textured concrete, makes this building low maintenance. 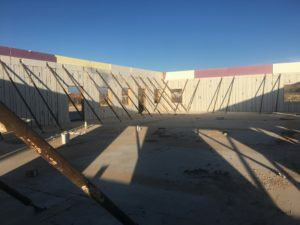 This is the first building of its’ type to be built in Santa Fe, and has proven to be an excellent choice because of its’ high insulating qualities. The design also conforms to the City of Santa Fe’s Energy Efficiency Codes as well as the Airport Road Redevelopment Requirements. The City of Santa Fe Redevelopment Zone provided an incentive of “no permit fees” because the building is being used for child care. There is also a wonderful 270 square foot Conference Room which can be used for a small daily fee by anyone in the community. Los Alamos National Bank assisted in the financing for construction and has also purchased the Naming Rights to the Conference Room. Naming Rights for both Classrooms, the Multipurpose Room and the Playground are still available.